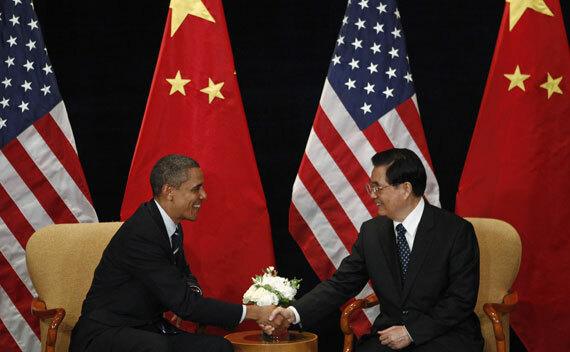 China President Hu Jintao made Chicago a focal point of his official state visit to the U.S. last week. Business ties and Chicago Mayor Daley’s long-term diplomatic engagement of China were key motivations behind the high profile visit. At first glance, Chicago may not seem to be the most likely main stop for the Chinese President. As the effective capital of the Midwest, Chicago is positioned farther from any maritime port of call or either coast than any major U.S. city. Other U.S. cities and regions like California’s Silicon Valley, home to Google and Apple, and Seattle, home to Microsoft, Amazon, and Starbucks and another stop on Hu’s tour, are better known for their roles in nurturing entrepreneurship and developing cutting edge technology. Six other major U.S. metro areas have larger Chinese populations than Chicago, including New York, Los Angeles, San Francisco, San Jose, California, Boston, and Honolulu. On the other hand, Chicago is the third largest city and metropolitan area in the U.S., after New York and Los Angeles. More currently, Chicago is the hometown of President Obama, who maintains a home in a Hyde Park neighborhood near a former employer, the University of Chicago. To some extent, Hu’s visit to President Obama’s home turf also followed in the footsteps of his predecessor, former President Jiang Zemin, who traveled to President George W. Bush’s ranch in Crawford, Texas. Strong and growing U.S.-China business ties were another prominent factor in Hu’s decision to visit Chicago. At least 40 Chinese businesses currently have operations in the Chicago area. Local Chinese companies operate in a variety of industries, including telecommunications, auto parts, environmental technology and clean energy. China has earmarked green energy as a key strategic industry to help drive growth, combat pollution, and compensate for lacking domestic sources of natural resources. Wanxiang America Corp., an $8 billion maker of auto parts, industrial products and solar panels, has opened plants and a headquarters in the Chicago area within the past two years. Parent company Wanxiang International accounts for about half of the 10,000 jobs created by a recent surge in Chinese investment in the U.S. to about $12 billion since 2009, according to Rhodium group consultants. During his stay, Hu singled out Chicago-based companies Boeing, Motorola and McDonald’s, along with Caterpillar of Peoria, Illinois, as “household names in China.” A $19 billion deal for 200 Boeing airplanes highlighted President Obama’s Wednesday announcement of $45 billion in new business transactions with China at the start of President Hu’s visit. Chicago is also home to some of the world’s most well-known consumer products companies and aggressive pursuers of China’s vast domestic market potential. Kraft Foods, the William Wrigely Jr. Company, and the Gatorade, Tropicana and Quaker brands of PepsiCo are all based in Chicago. Other major Chicago and Illinois multinational corporations with important interests in China include pharmaceutical manufacturer Abbott Laboratories and equipment-maker John Deere (Moline, Illinois). Chicago ranks No. 6 overall on the latest 2010 edition of the list, one place behind Hong Kong and one spot ahead of Los Angeles. Beijing ranks No. 15 and Shanghai No. 21. In terms of business activity, Beijing comes in at No. 6, one spot behind London, followed by Shanghai at No. 8 and Chicago at No. 10. In terms of political engagement, Beijing ranks No. 10 and Washington, D.C. No. 1. Chicago also ranks No. 4 for human capital and No. 10 for cultural experience. (Click on the image below to see a larger version. For more on the Global Cities Index, see the related post Top Global Cities Rankings). Sister city relationships are an important element of the cultural experience dimension of globalization and a city’s international ties according to the Urban Elite study. Sister cities are part of a worldwide network and organizational platform that serves, “among others, museums doing international exhibits, universities setting up international campuses, and firms with large offshore professional workforces that need help securing housing and children’s schooling in a foreign country,” according to Saskia Sassen, Robert S. Lynd Professor of Sociology, Committee on Global Thought and Department of Sociology, Columbia University. Chicago is sister cities with Shanghai and Shenyang. 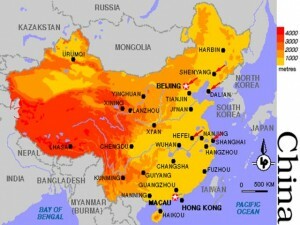 Shanghai is China’s biggest city with a metro population of more than 19 million people. First settled around the fifth to seventh century at the mouth of the Yangtze River on China’s eastern cost, Shanghai is roughly equidistant from Beijing to the north and Hong Kong to the south. Like Chicago, the city serves as a cosmopolitan hub of international business and architecture. Chicago Mayor Richard Daley deserves credit for initiating and overseeing a host of efforts to build lucrative long-term ties between China and Chicago. At a lavish, 500-person dinner held in honor of President Hu’s visit, Daley affirmed, “Our long range goal is to make Chicago the most China-friendly city in the U.S.” In addition to facilitating an international networking session, it’s likely the dinner was intended to pay homage to the important roles of food and ceremony in Chinese culture. Since 2004, Daley’s China diplomacy has included four trips to the country to pitch Chicago’s commercial promise as a global transportation hub and established base of manufacturing and industrial sectors. In 2010, Daley traveled to Shanghai to headline “Chicago Days” at China’s nearly year-long World Expo. In 2008, he attended the Beijing Olympics to glean lessons for Chicago’s bid for the 2016 Summer Olympics. Mayor Daley can also take ample credit for building Chicago’s Chinese language program into the largest in the country. In 2006, he pushed for the development of the Confucius Institute in Chicago (CIC), a language and cultural center that started as a small parent-driven Chinese language program. In more official terms, the CIC website describes the institute as a partnership between the Chicago Public Schools Office of Language and Cultural Education, the National Office of Teaching Chinese as a Foreign Language (Han Ban), and East China Normal University in Shanghai. Housed at the Walter Payton College Preparatory High School and partially financed by the Chinese government, Confucius Institute in Chicago has grown to become a full professional development and workshop center for teaching Chinese language and culture. CIC also maintains a resource library with more than 3,000 print and media materials for educators and students. Thanks to these efforts and resources, Chicago public schools (CPS) currently provide Chinese language and cultural instruction to about 12,000 students on 42 campuses citywide. Chinese has even become the second most popular choice of foreign language class for CPS students after Spanish. Cooperation between Chicago and China extends beyond the realms of business and education to the city’s thriving community for arts and culture. At the dinner for President Hu, Mayor Daley observed, “Art leads to greater understanding among cultures” and announced a gift of $1 million to fund scholarships for Chinese students to study at the top-ranked School of the Art Institute of Chicago. The scholarship is endowed by the Margot and Tom Pritzker Family Foundation to foster educational exchanges in architecture and design that will help Chinese students develop new skills and perspectives to bring back to their homeland. At the same time, the exchanges will enable visiting Chinese students to share their unique views and cultural experiences with the Art Institute’s diverse, international student body from the U.S. and other countries around the world. The Chinese scholarship endowment marks another valuable act in the Pritzkers’ commitment to supporting international architecture, Chinese art and culture, and the preservation of important cultural heritage sites in China. The Pritzker Architecture Prize, widely considered the profession’s highest honor, is awarded annually to a living architect who “has produced consistent and significant contributions to humanity and the built environment through the art of architecture.” In addition to serving as Chairman of Hyatt Hotels Corporation and Marmon Group, Inc., Thomas J. Pritzker is also a Trustee of the Center for Strategic & International Studies (CSIS) in Washington and an honorary professor of history at Sichuan University in China. The dinner for President Hu also featured musical performances by two Chinese-born violinists and sisters, Lei Hou and Qing Hou, who are members of the Chicago Symphony Orchestra (CSO), another Chicago cultural institution with global reach. Silk Road Chicago marked an important effort to deepen the cultural exchange between Chicago and China. Initiated by cellist Yo-Yo Ma, Silk Road Chicago launched in spring, 2006 as a year-long collaboration among Ma’s Silk Road Project, the Chicago Symphony Orchestra, the Art Institute of Chicago, the Chicago Department of Cultural Affairs, and the Chicago Office of Tourism. Throughout the year, Chicago residents and visitors were treated to a series of “performances, exhibitions, demonstrations, and special events that explored cross-cultural discovery and celebrated the artistic legacy of the Silk Road.” Silk Road Chicago performances included concerts featuring classically trained Chinese musicians from the Silk Road Ensemble playing traditional Chinese instruments. Silk Road Chicago culminated with a free performance of a classic Chinese fable, The Stone Horse, at the Jay Pritzker Pavillion just off of Michigan Avenue in Chicago’s Millenium Park. The event brought together a diverse group of Silk Road performers and Chicagoans, including Mr. Ma, the Silk Road Ensemble, members of the Chicago Symphony Orchestra and Civic Orchestra of Chicago and more than 500 students from Chicago Public Schools. Daley’s accomplishments and China’s interest in Chicago are particularly noteworthy in light of the relative size of the Chinese population in Chicago compared with those of other major U.S. cities. With the seventh largest Chinese headcount in the country, only about one percent or 96,000 of the Chicago metro area’s approximately 9.6 million people claim Chinese descent, according to the U.S. census. Hopefully, Chicago’s and China’s efforts to develop ties with one another will not be viewed as a winner-take-all competition by other U.S. and international cities. There is ample opportunity for any number of cities to benefit from China’s growth and investment. It seems that global cities like Chicago are best-served by diligent efforts to find the best fit between their unique offerings and needs and the mutual interests of their prospective Chinese counterparts in the private and public sectors. Hales, Mike, Samantha King and Andres Mendoza Pena. The Urban Elite – A.T. Kearney Global Cities Index 2010. A.T. Kearney. Olivio, Antonio and Paul Richter. The Most China-friendly City in the United States. Chicago Tribune. January 22, 2011.